6.New Challenges for Xi Jinping’s Anti-corruption Crackdown? This piece was first published by All China Review. The history of Chinese advertising in the broad sense can be traced back to the Song dynasty when stores used signs and words to advertise services (Wang, 2008). In the 1920s and 1930s, advertising in Shanghai was already a dynamic industry, with foreign advertising agencies and brands competing with the Chinese counterparts prior to World War II. After the Chinese Communist Party takeover in 1949, the government gradually eliminated commercial advertising in the belief that a centralized socialist economy did not need advertising. During the Cultural Revolution (1966-1976), almost no commercial ads existed, except for limited commercial information about exports to foreign countries (Chen, 1991). China officially announced a resumption of commercial advertising in 1978 after the Third Plenary Session of the Eleventh Central Committee of the Chinese Communist Party. At this meeting, China’s paramount leader, Deng Xiaoping, declared that China would shift from a political orientation – focusing on class struggle – to a more pragmatic approach – centered on economic reforms and the opening of the economy to global capital. Since then, advertising has gained strategic and symbolic importance in opening up society and developing the economy in China. In the past few decades, Chinese advertising experienced exponential development. Foreign advertising agencies urged their global clients to enter China in 1979, right after the country opened its door to the outside world. Now foreign brands and advertisements have become an inherent part of the daily lives of Chinese consumers. The Shanghai TV Station aired China’s first foreign commercial for the Swiss Rado wristwatch in 1979. The one-minute English commercial, focusing on product information, was broadcast only twice, but it produced a huge impact in China. Hundreds of people went to state-run local stores to inquire about the product in the next few days. Interestingly, the product was not sold in China until four years later, suggesting that the advertiser was initially more interested in image advertising than selling products since China had not yet developed a consumer market. Coca-Cola entered China in 1979, and it was the first foreign brand that was sold in the Chinese market. The first foreign commercial that China Central Television (CCTV) – the only national TV network in China – aired was for Coca-Cola. It caused criticism because the product was viewed as not aimed at ordinary Chinese consumers. During the 1980s, Japanese brands and advertising achieved wide recognition. Brands such as National, Panasonic, Sony, Toshiba, and Toyota became household names among urban Chinese. Similarly, Japanese advertising agencies also achieved prominence in the Chinese market largely because Dentsu and a few other Japanese agencies collaborated closely with Chinese advertising professionals and academics. However, since the 1990s, American advertising agencies have obtained a more prominent position in China. In the 1980s Chinese advertisers used hard-sell advertising strategies, focusing on product information and production processes (gates of factories, machinery, diligent workers, their awards, etc.). 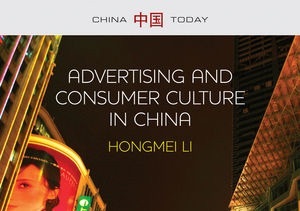 With increasing influence of foreign advertising practices, Chinese advertisers later adopted soft-sell strategies that catered to a variety of values such as family bonding, individualism, romance, adventure, love, beauty, modernity, newness, masculinity, and femininity. Chinese ad professionals also demonstrated a strong desire to learn from their Japanese and American counterparts. Many exchange programs were established for Chinese ad professionals to learn the newest advertising practices. Professionals working at foreign ad agencies were constantly invited to give talks about foreign advertising. With various efforts to professionalize advertising, including the establishment of professional associations, the opening of degree programs in prominent universities, and the publication of advertising books, advertising gradually became an attractive profession that elevated its lowly image of puffery to a career that ambitious young Chinese were interested in pursuing. Initially, Chinese professionals were more interested in working at foreign advertising agencies since they provided better salaries, benefits, and training. Chinese advertising agencies were generally viewed as having a lower status. In the last decade, foreign and Chinese advertising practices have converged, largely because of the constant exchange of advertising personnel, ideas, and practices. While Chinese advertising agencies in the past offered lower pay to employees, starting in the mid-2000s Chinese ad agencies offered even higher salaries to professionals who already had experience in foreign advertising practices. Now ads in the Chinese market featuring foreign and Chinese brands look very similar. Both types of ads stress affective connections with consumers in order to generate demand. A prominent theme in Chinese advertising is the selling of nationalism and cosmopolitanism. Both foreign and Chinese brands resort to the promotion of these concepts in their ads. However, there are some subtle differences given their different origins, perceptions, and relationships with modernity. One obvious difference is that Chinese brands are more likely to resort to patriotism or nationalism as a selling strategy. Chinese brands such as Li Ning (a Chinese sportswear brand) and Hai’er (a home appliance brand) have long been selling national pride in marketing their products. Li Ning, in particular, has been inherently associated with China’s Olympic glory and “Chinese-ness.” Hai’er, on many occasions, has sold its foreign expansion as a successful story in the Chinese market not only to endorse the quality of its products, but also to claim itself as a pioneer in increasing China’s global influence. The selling of nationalism is about the reconstruction and reinforcement of traditional images, symbols, rituals, myths, and customs in the context of China’s search for national identity and modernity in an increasingly globalized world. Advertisers appropriate and reinterpret Chinese symbols, images, rituals, historical heroes, and China’s anti-imperialist history to create a narrative of patriotism, loyalty, and national glory. The promotion of Chinese-ness is particularly seen when China hosts global events such as the Beijing Olympics, the WorldExpo, and the Asian Games. During the Beijing Olympics, foreign brands also celebrated their connections to China. For example, McDonald’s asserted “I’m lovin’ it when China wins.” Coca-Cola had a record marketing blitz with theme music “China is red” and “China is hot.” The Olympic sponsor Adidas tried everything to establish its connection with Chinese culture and national pride. Non-official sponsors such as Pepsi and Nike also made efforts to connect their products and brands to China’s rising patriotism. Such endorsements of nationalism often met with consumer approval. Given that foreign brands already had established their cosmopolitan identity, the appropriation of nationalism made them powerful rivals of Chinese brands, which could not claim to own nationalism in China any more. To compete with foreign brands in the Chinese market, Chinese brands also aimed to balance nationalism and cosmopolitanism. Chinese advertisers use various strategies to make global connections and sell the globalized images to Chinese consumers. Oftentimes, such global positioning is seen as contrived “Western-ness,” either by appropriating Western symbols – including Western languages, Western models, European-style architecture, sculpture, and famous tourist sites (such as the Seine River, the Arc de Triomphe, the Louvre, the Château de Versailles, the Eiffel Tower, Cambridge, Paris and Rome) – or by selling values associated with Western modernity (such as individualism, freedom, newness, and the pursuit of pleasure). In China, Western-ness is often associated with product quality and prestige. Products with foreign sounding names are many times sold at higher prices than brands with Chinese names. As a result, many clothing brands use foreign-sounding names. And some products also make false claims about their foreign origin. Chinese ads often juxtapose foreign and Chinese cultural symbols, projecting the celebration of universal humanity through the meeting between East and West. Chinese advertising also sells dreams of common humanity and the desire for Chinese people to be recognized in the global market. The combination of foreign and Chinese elements means that Chinese brands aim to target the growing middle class in China, which often harbors a strong desire to have more global connections, while simultaneously treasuring their roots in Chinese culture. However, global brands often enjoy more advantages in constructing such a convergent identity. After all, their cosmopolitan identity has been established in their origins and global success. Chinese brands instead are often viewed as having contrived cosmopolitan identities. In other words, when Chinese brands compete with global brands, they are somehow at a disadvantage because foreign brands are inherently viewed as having higher quality and prestige. Considering the product scandals in China involving contaminated baby milk, poisonous rice, and other goods of questionable quality, foreign brands are often chosen because they are considered safer and of a higher quality. Chinese consumers now use foreign agents to buy directly from Western countries, and they purchase products when traveling to Europe, the United States, Hong Kong, Japan, and South Korea. Since China joined the World Trade Organization, Chinese advertising has not only been shaped by loosening regulations, but also by digital technologies. Now companies allocate more money to digital advertising in response to rising TV advertising prices and declining readership of print media. The rapid development of digital and mobile advertising has seriously challenged traditional advertisers. For example, Baidu—on online portal–has already surpassed CCTV to become the largest advertiser in China, forcing CCTV to collaborate with new players. Digital advertising focuses more on consumer participation, branded entertainment, and fan-centered advertising strategies. The pervasive use of digital advertising also means that it is becoming more difficult for Chinese regulators to administer advertising, thus leading to an increasing number of illegal, offensive, and controversial ads in China. Controversial advertising not only includes problematic products, but also the problematic use of questionable symbols, images, and words. While there is hope that digital advertising will flatten the advertising gaps between Chinese and foreign advertisers and between Chinese and foreign advertising agencies, foreign brands and their agencies still enjoy some advantages because of their extensive networking, know-how, and capital. A vast number of Chinese ad agencies and brands still compete at the lower end. The global economic recession of 2008 has increased the Chinese market, which may lead to different dynamics in China’s advertising market in the future. Chinese advertising is a dynamic industry and profession, which is closely related to China’s economic development in general. China’s rapid economic development amid the global recession makes the Chinese more significant. However, the Chinese economy is now slowing down, as Europe and the U.S. are recovering, which may further shape how China is perceived. Nevertheless, a sense of national pride among the Chinese consumer-citizens has strengthened, which influences advertisers and will shape advertising strategies in the future. Dr. Hongmei Li is an associate professor of strategic communication at Miami University, Oxford, Ohio. She obtained her Ph.D from the Annenberg School for Communication, the University of Southern California and her B.A. in English Language in Peking University, China. She was also a George Gerbner Postdoctoral Fellow at the Annenberg School for Communication, the University of Pennsylvania from 2008 to 2010. Before coming to the United States to pursue her Ph.D, she worked as an editor and copyright manager at the Central Translation and Publishing House in Beijing. Her research focuses on advertising and consumer culture, globalization, national branding and public diplomacy, gender and sexuality, Chinese culture and society, and culture of new communication technologies. She has published widely in prestigious journals such as Public Relations Review, Critical Studies in Media Communication, Communication Theory and International Journal of Communication as well as in many well-recognized edited volumes. She is the author of Advertising and Consumer Culture in China (Polity, 2016) and co-editor of The Middle Class in Emerging Societies (2015, Routledge, with Dr. Leslie Marsh), and a special journal issue titled Building the BRICS: Media, Nation Branding and Global Citizenship (2016, International Journal of Communication, with Dr. Leslie Marsh).